Child and Adolescent Psychiatrist, Rockhampton, Queensland Coast, Australia. 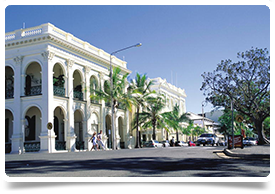 We are seeking a Consultant Child and Youth Psychiatrist to work in the coastal city of Rockhampton, Central Queensland - a regional city which offers an ideal lifestyle for singles, couples, families alike and is the southern gateway to the Great Barrier Reef. Total remuneration package of up to AU$425k plus oncall. 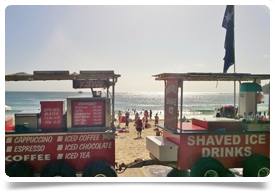 Well funded public mental health service - contribute to an expanding and dynamic mental health service in sub-tropical Queensland. Registrar, Consultant ratio is 1:1. This location and service provides both an amazing personal and professional platform for you and your family to enjoy life! Walk or cycle to work grabbing a smoothie on the way. Grow mangos and avos in your subtropical garden, enjoying the incredible climate. Outdoor lifestyle for all - sun, beach, water, blue skies, BBQs, activities, camping, trekking, 4x4, surfing, fishing etc. Get back to basics - enjoy whats important again. Registrar to Consultant ratio is 1:1. Generous professional development allowance and leave. Well resourced service with doctors in training and psychiatry trainees. Fantastic peer group of 10 FTE Consultant/Specialists (all specialties). On call 1:8 weekdays and 1:6 weekends. Well funded mental health service. Rapidly expanding service offering new experiences and professional challeneges. If not FRANZCP, you will have completed specialist training in either UK, NZ, Ireland, USA or Canada. Minimum of 3 years Consultant/Specialist experience in CAMHS psychiatry. High levels of communication and collaborative work practises. Good and proven ability to interact with people of diverse cultures. 6 months experience in formal post of liaison psychiatry during your basic or advanced training. If we help you secure this position we provide free guidance and project management services for the RANZCP application and assessment, medical registration and visa/migratory stages.